Most days, I choose not to look inside and close “the room” to general viewing. If someone forgets to pull the door shut, I, unprepared for the vicious assault on my senses, cringe as I walk past, and pretend it doesn’t exist. Just doesn’t exist. It’s a figment of my imagination, a portal to another, more messy universe, a gateway to hell. Just look at that splotchy, dog-eared comforter, that leaning tower of zig-zagged books, the Easter baskets perched haphazardly on the narrow shelf in the closet, barely buffeting the tumble of Halloween’s plastic pumpkins, homemade baby shower invitations, and mismatched chafing dishes. One false move — or a minor California earthquake — and the whole thing would fall into a great heap upon the floor, mixing into an unfavorable cocktail of enormous killer dust bunnies and spider carcasses. Sometimes I worry that the kids will wander into “the room” and never make their way back out, doomed to forever walk the maze of discarded cordless telephones and Colecovision user manuals. Or perhaps haplessly fall into a drawer stuffed to the nines with homeless Allen wrenches, that old pillow that used to match that old couch, and my retired scent potpourri. They don’t make patchouli like they used to! Lord knows there’ve been days when I haven’t seen the children for an hour or two, and upon realizing the preternatural silence, jump up in a panic, rush to “the room” and search for them among spindly tinsel and tattered suitcases. Often I pull them back out, barely alive, almost smothered to death by 85 bags of tea lights and the detritus from my brief foray into the nutriceuticals business. But there’s good to be had there, I suppose. Honey, I could say. Remember that Tandy computer you bought in 1982 A.D.? If you want to visit it for old time’s sake, just look in the northeast corner! What do you mean you can’t see it? Did you move the giant Bozo punching bag? 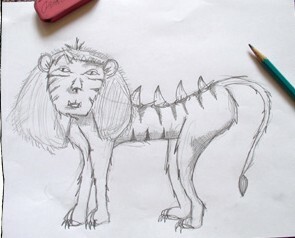 Napoleon Dynamite’s liger? Mary Celeste‘s crew remains? There! Now you see it! You’re welcome, honey! 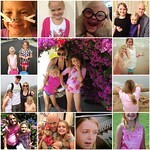 Or if I ever wanted to walk down memory lane. Why, I could visit with my plaid jumper from St. Mary’s grade school! Hi, old jumper! I would call out jovially. What are you doing here? Good to see you, old jumper! Why don’t you introduce me to your moth friends! Or maybe I want to look through vintage yearbooks. So many to choose from! Did I want to page through my, my husband’s, or my brothers’ (both of them) yearbooks? Doesn’t matter! I got ‘em all. Just hanging out next to the garden gnome and George Foreman grill. Someday I plan to use both! Moth friends? Would you leave just a little bit of this jumper intact for my daughters to see when they’re old enough to care that their mother was a repressed Catholic schoolgirl who keeps this jumper around to remind herself that Sister Camille is probably too arthritic now to rap her fingers with a wooden ruler? I don’t have the room. I have a room like that! I’ve been working on it, though, and it’s much better than it used to be. Oh my Gosh,I so can relate to this. good thing I never have guests. We’ve got one of those!! Clothes, baskets, suitcases. Oh, and there’s that book I was looking for! My mother has always had a room like this in her house. I do not have one for very obvious reasons. Unfortunately she has asked me to help her sort through it over holiday break. Maybe we’ll find one of our long-lost relatives. Like the old yearbooks, love the old school uniform. Memories are fun even when they’re messy! It’s an attic, just in the wrong place! So maybe you can put a futon up in the attic… for guests. Did you know that Ligers are pretty much my favorite animal. They’re bred for their skill and magic. 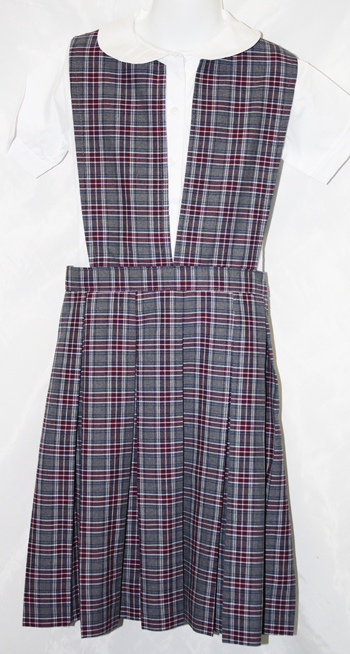 And the Catholic School Outfit…for real? You are Mary Catherine Gallagher!